Last night was a big night for Cooking Contest Central and several of our members! 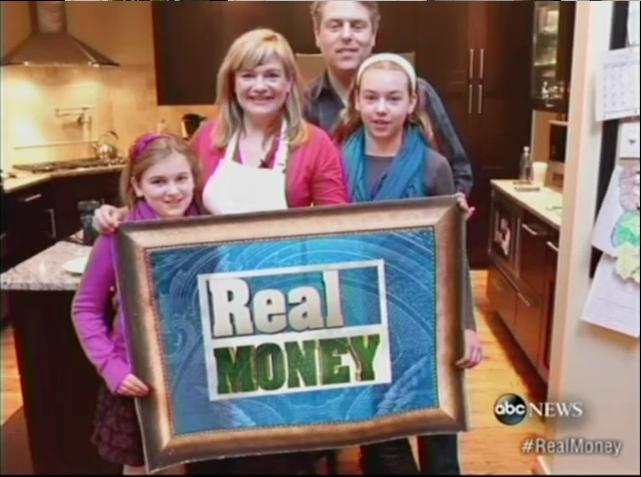 The website, Tina Verrelli and Erika Kerekes were featured in a “Real Money” segment on ABC News with Diane Sawyer. 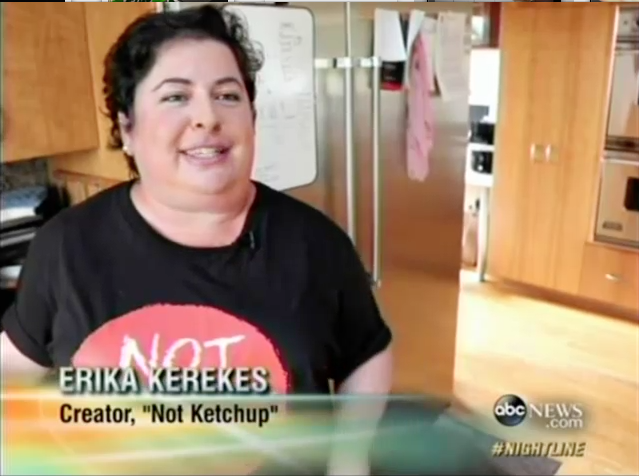 Later in the evening, an extended version aired on Nightline. Thanks so much to everyone who tuned in and left such lovely and supportive comments on Facebook and Twitter. I am so proud of our outstanding contest community! There was so much interest in CCC after the show aired that the massive increase in traffic and new subscriptions overloaded our site! As my web designer and I frantically worked to fix the situation I felt a little like Ellen during the Oscars! We now have hundreds of new members and I want to offer each and every one of them a warm welcome! If any of you have questions as you start to navigate the site and learn more about the contest world, please don’t hesitate to ask. 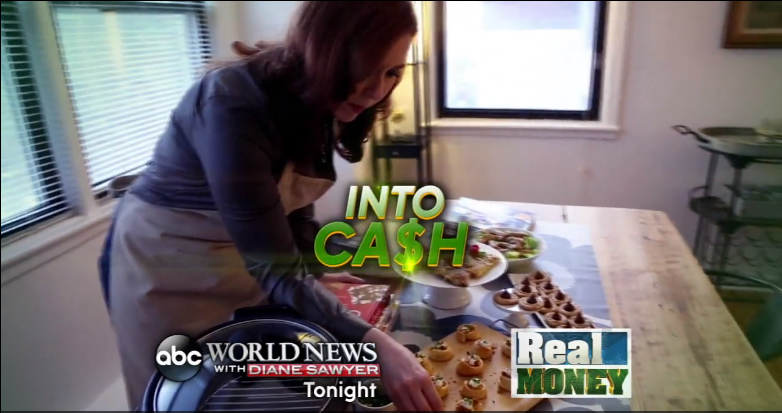 Here is the “Real Money” segment from ABC World News with Diane Sawyer. Here is the extended segment that aired on Nightline. Congrats to the Cooking Contest Central members featured on the show! …and Yours Truly, Kristina Vanni. ← Watch CCC on ABC World News! Thanks so much for posting these. I missed them because I was greeting a new grandson into the world. Thanks so much for your kind words Pam! And congratulations on the addition to your family! This was so exciting to watch and I am so honored to be among such talented chefs and home cooks 😀 You all looked beautiful! P.S. Welcome, to all the new CCC members!!! Everyone was impressive. Congrats to all who received well deserved recognition on NATIONAL T.V. Welcome to all the new members who joined after watching the news segments! Who knows, maybe one of you will be a next big winner. But remember, you can’t win if you don’t enter, so go seek out some contest listings and jump right in! Welcome to the official Cooking Contest Central blog! I'm Kristina Vanni – third-generation recipe contester, cooking contest expert, and owner of Cooking Contest Central – here to share the latest and greatest in culinary and contest tips, trends, and travels. Plus, everything from behind-the-scenes sneak peeks and recipe features to breaking news and giveaways!